A significant number of singers, actors, and other celebrities have been spotted vaping over the recent years. In fact, some of them have become strong ambassadors of vaporizers. Due to their influence, when people see them vaping they assume that they advocate for it. And considering how some of them used to smoke in the past, it’s possible that they will do the same with vaping. Celebrities have been seen vaping in music videos, paparazzi photo blitz, and parties. Whether people love or hate them for this, celebrities deserve the right to give a healthier lifestyle a shot. 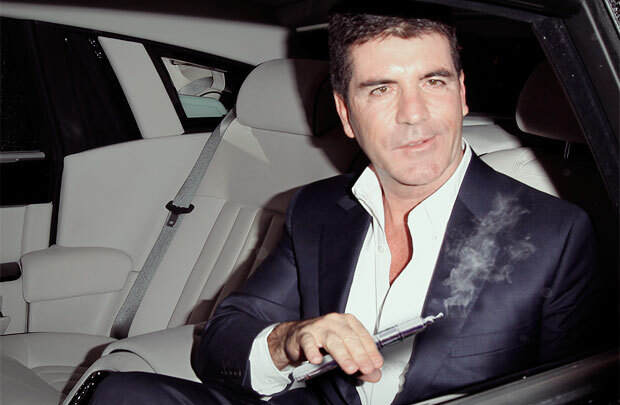 Here are 10 celebrities that vape with style. Johnny Depp is among the leading mainstream celebrities that have been spotted vaping on the big screen. He is spotted using an electronic cigarette on a train in “The Tourist” movie. This legend is also seen vaping on Kangertech Mini Tank. Johnny is clearly a fan of vape pens. In fact, he uses a box mod vape to get the satisfaction he needs to keep going. This teen heart-throb has acted since 2000. He has appeared in The High School Musical, Hairspray, and remake of the Baywatch Movie. In the Neighbors, Zac is seen puffing away constantly on a vape. Vaping seems to have been spilled into his life because he is always vaping as he is chauffeured within town. It’s no longer a secret that Michelle Rodriguez has constantly used different types of vape mods (VapingDaily.com suggests more info). This makes sense considering the fact that she has been vaping for years. Actually, she keeps updating her vaping accessories on a regular basis. It’s apparent that the Fast and Furious star loves having a new setup as she uses it more often. This Grey’s Anatomy star was the pioneer at the David Letterman’s show. She appeared on this show way back in 2010. It was at this time that she discussed her bad smoking habit openly. She talked about the health effects of tobacco and her decision to switch to vaping as a way of staying healthy. She has been spotted with different vaping gadgets as she keeps updating her gadgets. Just like this celebrity loves playing various characters, he enjoys some smoke too. From his role as a bad guy in the Pulp Fiction to an impressive thoughtful role in the Django Unchained, this Academy Award winner commands a great deal of respect from fans and peers alike. He has been photographed with beautiful cigars on several occasions. In The Tonight Show that features Jimmy Fallon, Samuel L. Jackson is spotted vaping from a pipe-style vaporizer. And he gives a bad-boy smile while doing it to show how stylish vaping is. This female celebrity is known for great songs that include the Dark Horse and I Kissed a Girl. Some people are surprised to learn that she has also been spotted vaping. The singer was photographed puffing her best vape mod in her Labor Day Party. She was dressed in a gorgeous summer outfit with a beer in one hand and Ego Twist vaporizer pen in her other hand. This is clearly an awesome combination for chilling out during summer. The fact that this celebrity vapes proves that age is simply a number as far as vaping is concerned. Jack Nicholson has been spotted vaping with style on several occasions. For instance, he has been photographed with an e-cigarette as he signs autographs for his hungry fans. This 80-year-old celeb is known for masterpieces like One Flew over the Cuckoo’s Nest and The Shining. At Staples Center in Los Angeles, Jack Nicholson was spotted vaping in style seated alongside his son. To most people, this photo passed a golden message from a living legend to the millennials. Willie Nelson is undoubtedly a true champion of the vaping cause and an old-school vaporizers supporter. Being a marijuana enthusiast, Nelson has smoked dry botanicals for many years. This music star is 83 years old and he switched to vaping just like most celebrities looking for a healthy alternative. He is known for using mod vape and desktop setups. For instance, there is a photograph where Nelson is spotted with a Vapir NO2 in his hands. Today, this music star has his own brand of dry cannabis, the Willie’s Reserve. PewDiePie is known for having a YouTube channel with the largest number of subscribers. He has millions of fans on his YouTube channel. Many people know this Swedish comedian for Let’s Play vlogs and commentaries. Although PewDiePie has not been spotted vaping on his videos, a 2016 video depicts him with a vaping gadget on a workstation. This raised questions whether the comedian vapes while most people made the conclusion that he actually does. Lindsay Lohan is known for controversy. However, she clearly knows her vaping products well. Many people are aware of Lindsay’s drug abuse rough history. Therefore, seeing her with vape mod kits is a sign that she has switched to a healthy alternative. Today, Lindsay is among the most famous people that vape with style. She has been spotted vaping in her Mansion in Miami as she read a script. Spotted for the first time in 2011, Lindsay is clearly among the first Hollywood celebrities to embrace vaping. Nevertheless, Lindsay had been spotted smoking traditional cigarettes severally before 2011. It’s apparent that there are many celebrities vaping with style. And more celebrities are likely to take up this relatively new habit following the revelation that vaping might be safer than traditional smoking. In 2017, a long term vaping study compared exposure to toxicant between people that had switched from smoking to vaping and smokers. This study established that there is a significant reduction in toxic compounds and carcinogens in vapers when compared to smokers. However, this reduction was reported in people that had quit smoking completely. It’s therefore likely that more celebrities and fans will continue to vape or switch to vaping in the coming years.